Dusty the halfling rogue walks up to the wounded pirate captain. In a brave moment of mercy and compassion, he sheaths his sword, removes the captain’s hat, and places it onto his own head. Dusty declares, “All pirates will be allowed to go free today! Join me! Find the source of the curse that haunts these lands and free the people of its burden!’ The pirates cheer, joining their new captain. Dusty’s friends cheer because they know his player, a teenage girl, has been through some tough times lately. This moment ends our game session, and the teens erupt in conversation. Where will they take the story next? How do they split the treasure? Should we get McDonald’s or eat at mom’s kitchen? My teenagers have just played Dungeons & Dragons according to what I have called, “The Gamer’s Code.” Five ninth grade girls have been making choices according to the code in order to gain rewards. Little do they know the Gamer’s Code is actually an expression of the Beatitudes. They have just played Dungeons and Dragons with Jesus. Role playing has been used by professionals for decades to teach, express, heal, and guide. 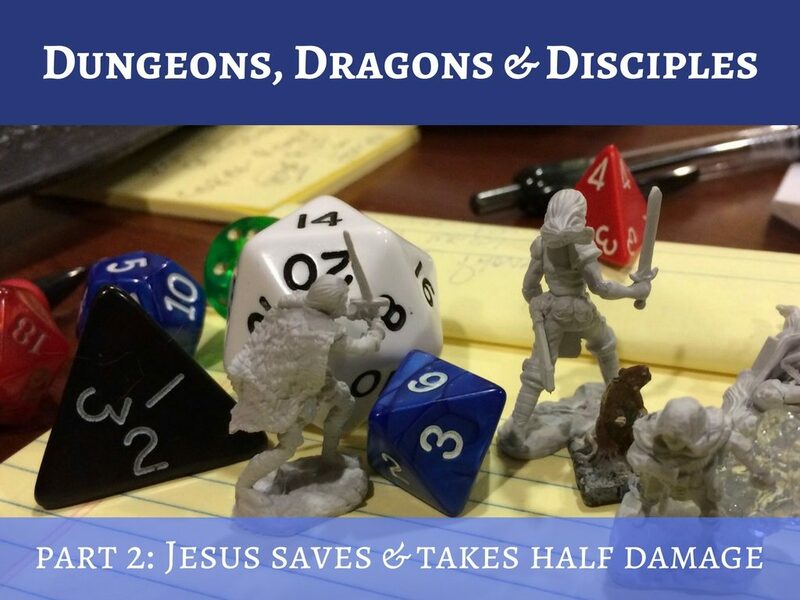 In my after school ministries, I show how role playing games like Dungeons & Dragons can help students express themselves, model Christ, and develop executive skills. The game is essentially rules based theater, with an element of chance thrown in by dice rolls. My philosophy is that these short (1-2 hour) and small (6-10 students) affinity groups should be places where the core teaching we provide on Sunday mornings, called The Pilgrim’s Way, should be practiced. 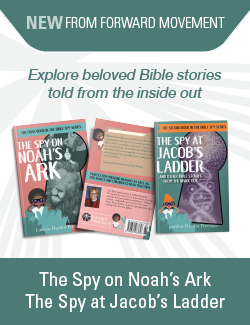 The way I roleplay the characters in our stories, called “Non Player Characters,” I challenge students to consider how a Christian should respond to various situations. For instance, I have been known to ask, “Do you really want to pick a fight with this goblin just because he looks ugly and you assume all Goblins are evil?” Righteous decisions are rewarded with Inspiration, (a game mechanic to get a free reroll) while negative actions have natural and unfiltered consequences. I try to keep the cause and effect in my storytelling as realistic as possible, because I know this isn’t just a game, it’s practice. Together, we are practicing for the real world. As we play, we discuss real issues of race, gender, justice, murder, theft, etc. Print out The Gamer’s Code and keep it where you can see it. This is how we keep our focus on Christian responses, and how we practice being heroes. When a player chooses to express one of the Code’s points, reward them. Pray before you start. The Holy Spirit is what makes this a ministry. Make sure you are ready to keep boundaries (they will get pushed! ), teach the gospel, and model Jesus. You’ll need to do it on the fly, while 6 teens watch everything you do and say. A game of D&D requires a little preparation. Michael Shea’s book can show you how to run games on the fly without over preparing. There are thousands of hours of YouTube videos on running D&D. I also make sure to check in with players to see what they’re wrestling with in real life so I can incorporate that into my narrative. My sessions last about an hour or two. They follow the 5 room dungeon model, which works well in my time limits. I open each session with an offering of three plot hooks. The group chooses one, and we see where the rabbit hole takes us. Follow up. Take notes after the session. It will provide continuity if you’re at home with your own kids. If the game is part of a ministry, you’ll need to identify when a red flag prevents itself and parents should be notified. I’ve had some kids make some pretty terrifying statements in game that ended up being game changers for their parents. If the idea of running a game off the cuff is terrifying for you, then accept my shameless plug and download a series of adventures I’m writing. These are placed in the Bible and parallel Jesus’ life, and are written with formation specifically in mind. My hope is that students can come to church and not just hear our stories, but live them out in their imaginations, without electricity. Technology has gripped our children and it will never let them go. We cannot fight against it, but we can provide opportunities for them to unplug, use their imaginations, and connect with their friends through us. My games don’t just describe the grace and love God extends to us through Jesus Christ, they allow our kids to experience it. In my next post, I’ll talk about how unplugging from technology and plugging into a community at Family Game Night can heal, strengthen, and connect our souls as a family. Click here for part three in this series. Would you send a youth to play D&D at church? Would you run a church-based game for youth? Thank you! I appreciate this very much!